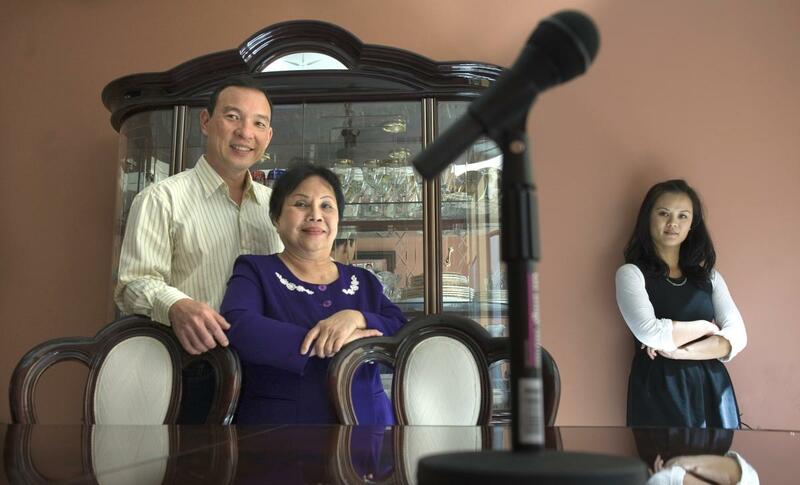 The goal of the Vietnamese American Oral History Project at UC Irvine is audacious: to capture the life stories of the wave of Vietnamese Americans who settled in Southern California. The idea is that future generations will learn from the stories of the first wave of people who left Vietnam, often in horrific circumstances, then struggled to build new lives as Americans. So far, about 150 of those stories have been chronicled on audiotape (and sometimes on video or digitally) and put online atsites.uci.edu/vaohp. In all, researchers have 300 completed interviews they plan to put online. “We are in a moment right now where many from the first generation are still alive, but they will be passing away. We want to preserve their stories,” said Linda Trinh Vo, who directs the project for UC Irvine. The project includes English- and Vietnamese-language transcripts, brief summaries, time logs, photographs and documents. Researchers at UCI also have partnered with the Vietnamese American Heritage Foundation’s 500 Oral Histories Project in Austin, Texas, and are helping to transcribe 60 of its interviews of Southern Californians. Those interviews also are included in the UCI collection. Cal State Fullerton also has two collections: a Vietnamese American Oral History Project with 35 interviews and a second one featuring Catholic pastors with large Vietnamese American parishes. Neither of the CSUF collections is online.